As a former kid who always crushed summer reading challenges, I still get excited about participating as an adult! I love having the extra motivation to get some reading in (because who doesn't love checking off a category box? ), and the push to explores titles, authors, and topics that I might not otherwise pick up. If you're game for a 2016 reading challenge, here are a few great ones to browse through and participate in! 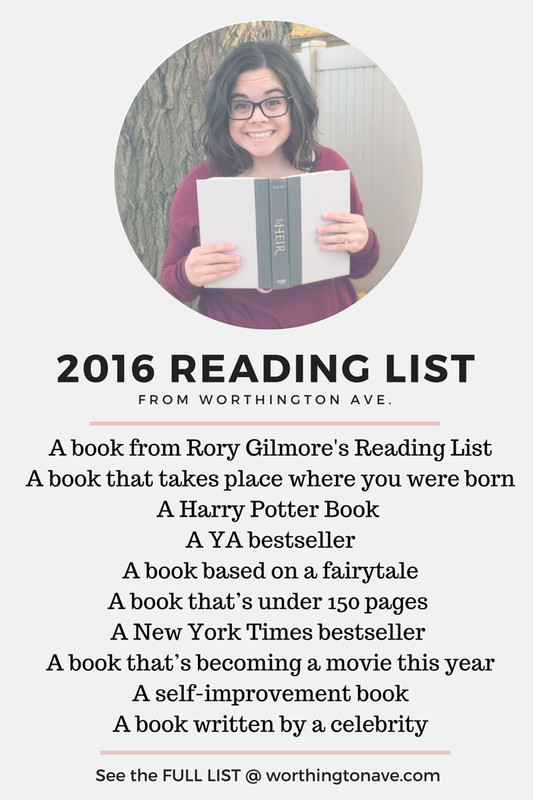 Our book club member Cami blogs at Worthington Ave., and came up with this fantastic reading challenge for 2016. My favorite categories are a book based on a fairy tale, a book with an ugly cover, and a book from Rory Gilmore's reading list. Find more details on the challenge HERE! 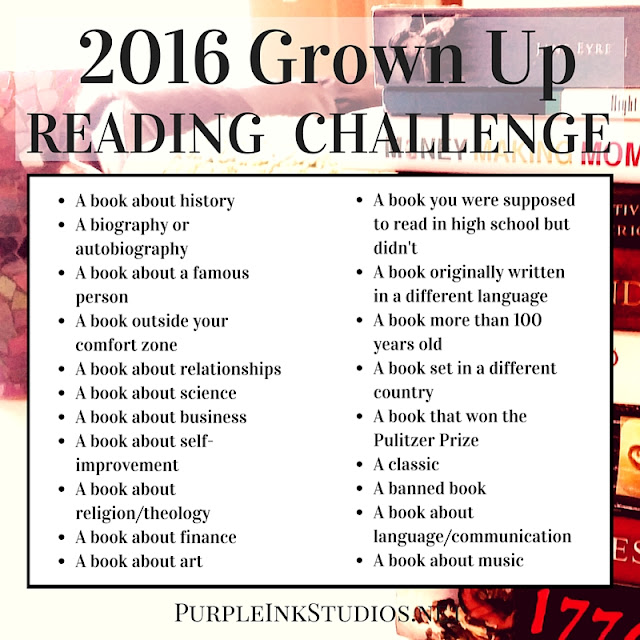 I participated in Modern Mrs. Darcy's 2015 challenge and came up short in 2 categories (dang it! ), so I'm determined to finish them all this year. 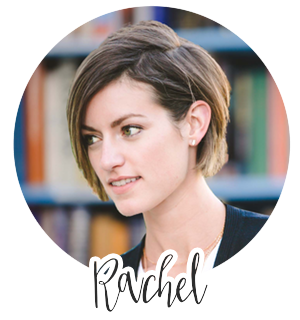 My favorite categories here are a book recommended by your local librarian, a book you've already read at least once (because I often want to revisit old favorites, but have a hard time saying no to newer releases! ), and a book that intimidates you. Find more details on the challenge HERE! 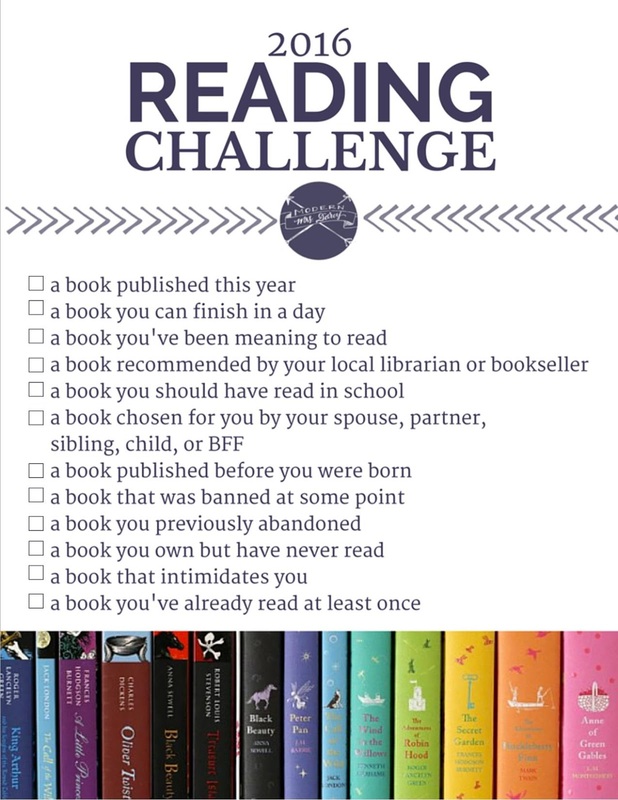 I love the idea of getting kids involved in a yearly reading challenge, and this list from Clare's Contemplations is a great one. My favorite categories are a main character of your opposite gender, a book your mom or dad read when they were your age, and a book that takes place in a country besides America. Although it's intended for children, many of these categories would help adults to get out of their comfort zone, too! Find more details on the challenge HERE! A slightly longer challenge here from Germ Magazine, but I'm loving some of these categories. 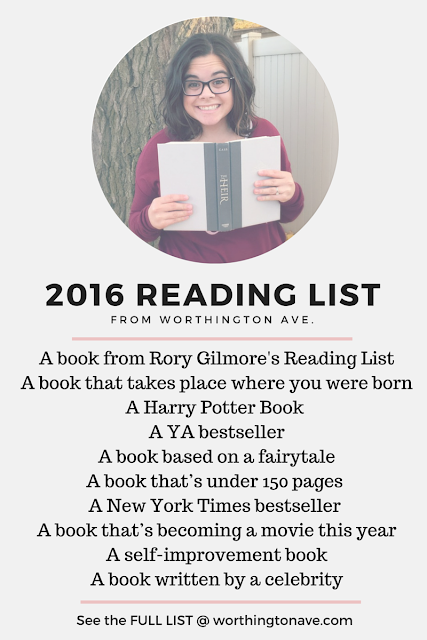 My favorites are a book set in a place you want to visit, a main character of a different race, and a book published the year you were born. Find more details on the challenge HERE! This great challenge from Purple Ink Studios gives you lots of room to learn. Many of these categories could be interpreted to fit either fiction or non-fiction, so you could stick to what you like best or use it as a chance to try something different. My favorite categories are a book that won the Pulitzer Prize, a book about finance, and a book about language/communication. Find more details on the challenge HERE! Thanks for including my list! You're the best! 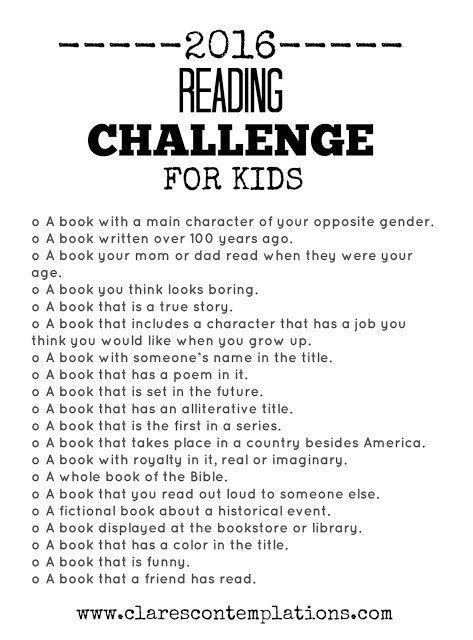 I love the reading list for kids too!